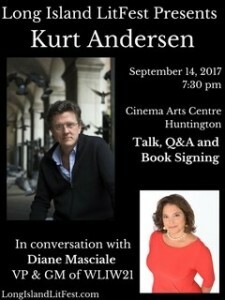 Long Island LitFest will present a special appearance by columnist, author, and public radio host Kurt Andersen at Cinema Arts Centre on Thursday, September 14th at 7:30 PM as he presents his new book, Fantasyland. The event will feature an on-stage conversation between Kurt and Diane Masciale, Vice President and General Manager of New York’s WLIW21. The evening will also include a Q&A and book signing reception. Each ticket holder will receive a copy of Fantasyland. Kurt Andersen is a columnist, author, co-founder of Spy magazine, and host and co-creator of the Peabody Award-winning public radio program, Studio 360. With Fantasyland, a sweeping, eloquent history of America, Andersen demonstrates that what’s happening in our country today—this strange, post-factual, “fake news” moment we’re all living through—is not entirely new, but rather the ultimate expression of our national character and path. America was founded by wishful dreamers, magical thinkers, and true believers, by impresarios and their audiences, by hucksters and their suckers. Diane Masciale is Vice President & General Manager of WLIW21 and Executive Producer of local productions at WNET, parent company of New York’s PBS stations WLIW21 and THIRTEEN, and operator of NJTV. This Long Island native is responsible for day-to-day operations of WLIW21, the country’s 4th most-watched PBS station. Masciale, a three-time National Emmy Award-winner, is a veteran news executive having last served as Executive Editor of ABC’s Good Morning America and Executive Producer in the ABC Long Form Unit. Previously, she was Acting Executive Producer and Senior Broadcast Producer at NBC’s Today Show as well as Senior Broadcast Producer at Dateline NBC. This event is produced by Claudia Copquin. 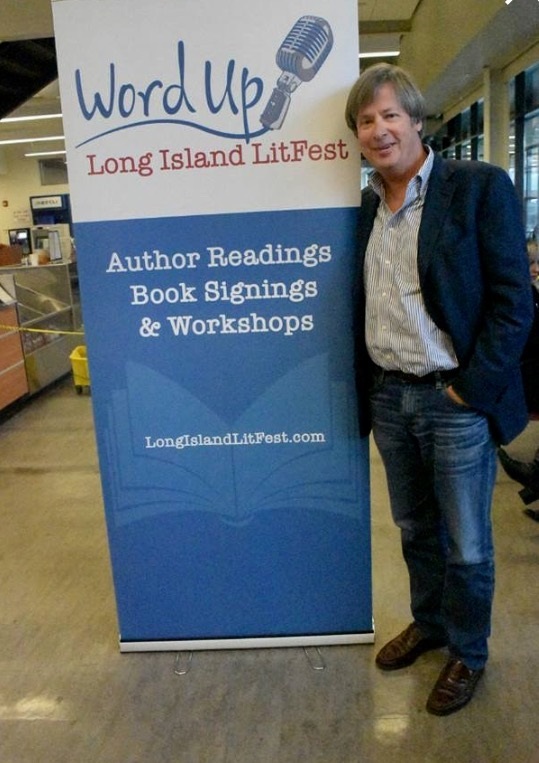 For more info, visit LongIslandLitFest.com. For tickets, which must be purchased in advance and include a copy of the book, click here. The mission of Cinema Arts Centre is to bring the best in cinematic artistry to Long Island, and use the power of film to expand the awareness and consciousness of our community. Visit CinemaArtsCentre.org or call our Box Office at (631) 423 7611.